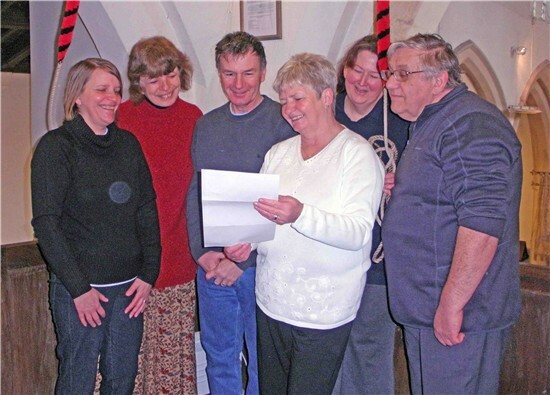 The Roos bell ringers practice on Tuesday evenings from 7.30 – 9pm at All Saints Church. Beginners are taught at other times by arrangement. 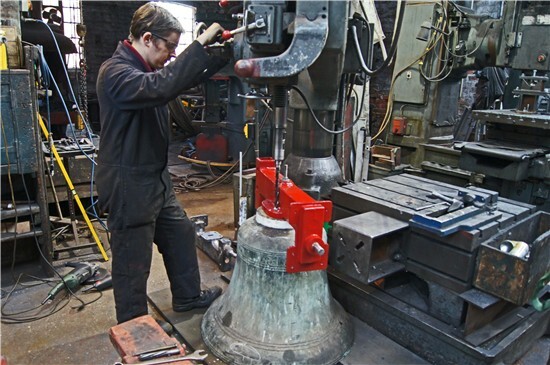 2012 was a very special year in that our ring of 5 was refurbished and augmented bythe addition of a new treble bell, making a ring of 6. This was made possible by a very successful fund raising appeal which raised nearly £47,000 to pay for the work. The money was raised with a combination of funding from grant awarding bodies, private donations and local fund raising events. There was a huge amount of support for this appeal from the local community. We are always looking to train new ringers. Contrary to common belief, ringers do not need to attend church or be musical or be unduly physically strong. If you can count up to 6, have a basic sense of rhythm and the commitment to learn a new skill then that is all that is required. In addition to practice nights we ring for Sunday services and by request for other occasions such as weddings. We also ring for pure enjoyment! It is an interesting, social and rewarding hobby. Complete novices are welcome as are experienced ringers. The Dedication Service conducted by the Archbishop of York, Dr John Sentamu was held on Sunday September 23rdat 2 pm. The service was filmed by BBC TV for their Look North programme. Radio Humberside broadcast interviews held with representatives of the Roos Bells Group. The service was followed by a traditional afternoon tea held in the Memorial Institute. It was a truly historic occasion! A comprehensive report is available on the Rooster website page.